if a therapy does work, it does not belong to alternative medicine but to medicine. Ernst has been accused of doing nothing but debunking SCAM. Not true. He lists 20 CAM interventions that are backed by positive and sound evidence, and he rates most of these as “probably more effective” than conventional options. The chapter on “The Basics” alone is worth the price of the book. It is a concise distillation of wisdom about the principles of evaluating medical claims. It covers evidence vs. experience, how clinicians can fool themselves, how even clinical trials can give false results, the direct and indirect risks of using ineffective treatments, weighing risks against benefits, placebo effects, specific vs. nonspecific treatment effects, eminence-based and celebrity-based medicine, ethical issues, and informed consent. SCAM claims to understand the root cause of diseases, and SCAMs are often promoted as cure-alls. Ernst calls these claims not just misleading but demonstrably wrong. The SCAMs that are effective are only effective for relieving symptoms. Ernst has never been able to identify a single disease that can be cured by SCAM. He points out that SCAM practitioners often instill fear by telling people they have a nonexistent problem (like “toxins” or “subluxations”). They claim to be holistic but much of SCAM is exactly the opposite of holistic. They spread paranoid conspiracy theories about Big Pharma, the FDA, and the medical establishment. They have many of the features of a cult. He points out that doctors can face reprimands for inadvertent errors while SCAM practitioners can get away with intentional harm. The chapter on research shows that SCAM research is lacking in both quantity and quality. It is a morass of poor research design, promotion masquerading as research, scientific misconduct, nonsensical investigations, and results that are too good to be true. Ernst describes how pseudo-researchers are seduced by personal epiphanies and by what he calls “the gravy train.” He says the line between wishful thinking and overt fraud is often blurry. He lists clear guidelines on how to differentiate good research from bad. He points out the role of criticism in scientific progress and shows that both criticism and progress are glaringly missing in the world of SCAM. There is more in the book, much more. There is a chapter devoted to SCAM practitioners and the ways they mislead and impress patients. Another chapter is devoted to patients and consumers and the reasons they are attracted to SCAMs. SCAM proponents claim that SCAM steps in to fill the void when orthodox medicine has nothing more to offer. That’s not only false but despicable. Orthodox medicine always has more to offer; if a cure is not possible, pain relief and supportive and palliative care are always available. And of course, SCAM can’t offer a cure either. And then there’s the wellness mania; Ernst says wellness is one of the most abused terms in the realm of CAM. I’ve always had trouble remembering the difference between efficacy and effectiveness. Ernst explains that eff-I-cacy refers to the treatment’s performance under I-deal conditions and eff-E-ctiveness refers to its performance under E-veryday conditions; a great mnemonic that I won’t forget. I laughed out loud at his description of how a homeopathic manufacturer prepared the homeopathic remedy Uranium 200X. They had no legal way of obtaining uranium, so they went on a tour of the Hanford nuclear facility and they held a vial of water up against a glass wall in front of the cooling chamber. They called that their mother tincture of uranium. Back in their lab, they diluted it 200 times with ethanol to make a 200X dilution, and then had the problem of getting rid of all the leftover ethanol. It was illegal to dump it down the drain, and the disposal service refused to take it because it said uranium on the label, even though they tried to explain that it couldn’t possibly contain a single atom of uranium. They ended up surreptitiously burying it in the backyard. In a Postscript, Ernst says the book is not intended as a text against but a plea for something. His aim was to stimulate the reader’s ability to think critically about SCAM and about healthcare in general. He hopes that the SCAM boom will do some good. It might induce conventional healthcare professionals to remember that time, compassion, and empathy are some of their core values which cannot be delegated to others. It’s a gem of a book. I highly recommend it. David G. Anderson: Though I agree with your comment (and want to read this book), I think the tag should have been ‘complementary’, that is, supplemental. The two words are often confused. Either way, ‘complementary’ or ‘alternative’ or whatever doesn’t work (except perhaps sometimes via the placebo effect). Tim Minchin said the same thing in his wonderful “beat” poem “Storm”. See it on Youtube. “Science adjusts its views based on what’s observed. Alternative medicine is stuff that has not been shown to work or has been shown not to work. When they show that it does work then it is called ….. medicine. I think there is an opportunity for good psychological research into various reasons why people pursue CAM – and understanding the causes might help save lives. Steve Jobs’ delay in conventional treatment reduced his chance of survival – he said “He didn’t want [his] body opened.” Some people don’t like the impersonal approach of some Doctors (SCAMers have good people skills it’s key to their business). And don’t forget co$t. Medical bills are a main reason for filing bankruptcy – even after the ACA came into effect. This is excellent item which has to go into public very widely. Surprised that so called educated persons are attracted to homeopathy, which is unscientific and never proved since the days of the founder Hannemann. Once again Dr. Hall has produced a nuance-free, binary rant in the form of an article or book review. The thesis appears to be “So-Called Alternative Medicine” is always a scam. Period. Now let’s move along and pay the outrageous medical bills and take some more drugs to counter the side effects of the other drugs we’ve been prescribed. Are there scams (in alternative medicine and elsewhere)? In a world where “there’s a sucker born every minute”, of course there will always be someone desirous of profiting from those suckers. Does this mean we must disdain all alternative medical approaches? I think not. Though Dr. Hall glosses over this observation, it nevertheless refutes her more simplistic binary, black/white comments about some CAM alternatives. Too bad she wasn’t willing to explore such nuances a little more. Is this more semantic gamesmanship from Dr. Hall? There are no “toxins”? “Subluxations” don’t exist when the word means “minor dislocation”? Dislocations are part of mainstream medical terminology but calling a minor dislocation a “subluxation” is just fear-mongering? Ah, the go-to of nearly every Skeptic article when criticizing what they don’t understand: label it a “conspiracy theory”. That way a Skeptic never has to wrestle with nuance, facts that don’t fit their preconceived views, or ideas that threaten their minimalist world-view. What a wonderful, short hand dismissal tool these narrow-minded Skeptics have at their command. Because of course “Big Pharma” is our friend; they never prevent generics from entering the marketplace and never price gouge on necessary medications. And the FDA has only the interests of the American public at heart and never approves things with insufficient testing, data, or input. And the “medical establishment” is purely altruistic and deals with patients as individuals with subtly different needs and constitutions rather than following set-in-stone protocols. Nope. Anything critical of Big Pharma, FDA, the medical establishment is just “paranoid conspiracy theory” and that’s the end of that. Funny. I find this to be more true of the writers and many of the commenters that appear on the Skeptic site. Really?!?! I would think that in most states anyone inflicting “intentional harm” would be subject to prosecution under some law or other, or several. It’s too bad Dr. Hall didn’t incorporate Ernst’s plea for something rather than a text against into her decidedly anti-CAM review. SCAM proponents claim that SCAM steps in to fill the void when orthodox medicine has nothing more to offer. That’s not only false but despicable. Orthodox medicine always has more to offer; if a cure is not possible, pain relief and supportive and palliative care are always available. Hmm, neither false nor despicable. Numerous testimonials exist from people all over the world who were told by their doctors that there was nothing more the doctors could do but then saw the famous yoga master, BKS Iyengar, who either relieved their ailments when doctors could not and in some cases helped cure them when doctors had given up. IMHO, your comment sounds much more like a rant than my article, especially since you submitted it twice. You looked for nuance, and then you criticized me for citing the nuance that Ernst found 20 interventions that were “probably more effective” than conventional options. I said “SCAM practitioners often instill fear by telling people they have a nonexistent problem (like “toxins” or “subluxations”). That doesn’t mean real toxins and subluxations don’t exist, just that SCAM practitioners often tell people they have them when they don’t. As for intentional harm, one example is cupping. It intentionally damages the skin, provides no benefits, and is not prosecutable. You cite testimonials for a yoga master. Every charlatan and quack can provide testimonials. You make straw man accusations against conventional medicine as if showing flaws in conventional medicine would somehow excuse the flaws of SCAM. Your pro-SCAM bias is obvious. Yours are not the words of a skeptic. I urge you to read Dr. Ernst’s book. Those who are enthusiasts for alternative and complementary medicine want it both ways. The item is supposed to have power to help without having power to harm or “chemicals.” When 300 people annually are killed by water in California, is anything totally safe, and is there anything in the universe that isn’t a chemical? And if Natural things are safe, what about poison ivy or mushrooms? Andif no side effects, what about caffeine or marijuana? The therapeutic effectiveness is typically exaggerated, harms minimized, and drug interactions ignored. It is critical that research on these substances if people are going to use them, and they should always be reported to the doctor who may prescribe drugs that may interact. And doctors need good references to explain how echinacea may interact with rheumatoid arthritis or penicillin. The reason my comment was submitted twice was both an accident and a “fault” with this comment site. I copied and pasted the passages from your article that I wanted to quote, thought I’d reached the end of those copied portions, then concluded and posted. When it posted I saw the remaining quote hanging at the bottom and making no sense. Unfortunately, this site provides no means to edit copy nor delete after it’s been posted. Since my double submission was accidental, does that exonerate me from your accusation of a rant? All apologies, Dr. Hall, but I’m afraid that two brief sentences in a somewhat lengthy article do not convey nuance. You sort of dropped them (almost as if an afterthought) and then moved on to your one-sided examination. Your exegesis above of this sentence: ““SCAM practitioners often instill fear by telling people they have a nonexistent problem (like “toxins” or “subluxations”).” is interesting; however, without that there is no way for the reader to know that you don’t actually believe that toxins and subluxation are nonexistent. In fact, the juxtaposition of “nonexistent problem (like ‘toxins’ or ‘subluxations’).” suggests quite the opposite, especially when you precede that by saying “SCAM practitioners often instill fear by telling people they have” these nonexistent problems. May I humbly suggest that you edit that passage to more clearly convey what you really mean? The “intentional harm” you mentioned from cupping is, so far as I understand, not permanent. If that’s your example of “intentional harm”, frankly, I don’t see any difference between that “harm” and the same “intentional harm” delivered by a vaccine (may result in bruising, swelling, soreness, or mild infection) or the “intentional harm” a surgeon delivers when s/he opens your hip to replace it or fuses vertebrae. You mistake and misunderstand me, doctor. Your statement: “You make straw man accusations against conventional medicine as if showing flaws in conventional medicine would somehow excuse the flaws of SCAM.” only reveals your bias peeking out from behind your professional demeanor. You see, I am in general skeptical, I don’t consider either conventional medicine or CAM infallible or without flaws. I think both modalities have something to offer depending on the circumstances and the treatment. What I object to, and what I find rather infuriating about so many articles on this site, is that binary approach I began my critique with. In my view, your review does not seek to examine both sides of the question with an open mind, rather your review appears to work largely to dismiss CAM as scam, as your headline states. I can only parrot your words in closing: Your anti-CAM bias is obvious and saturates your review. Yours is not the review of a skeptic. I shall look for a copy of Dr. Ernst’s book and be happy to read it. I’m not at all afraid to read other people’s opinions on any subject. p.s., I urge you to do a little reading and research on the yoga master BKS Iyengar and his therapeutic work using yoga asana. While real toxins and subluxations exist, anyone familiar with the scientific evaluation of SCAM would understand that the “toxins” and “subluxations” diagnosed by SCAM practitioners are uniformly bogus. Intentional harm like piercing the skin for a vaccine is permissible if the benefit outweighs the harm. If there is no benefit, no degree of harm is acceptable. You want me to examine both sides of the question because you think both sides have something to offer. What do you think SCAM has to offer? Anything more than the 20 things Ernst mentions and the placebo effects? There is no need for balance when one side is supported by science and the other is not. We needn’t debate the flat earth arguments. The evidence for health benefits of yoga asana is sparse and mostly methodologically flawed. Edzard Ernst has examined the evidence and thinks it is encouraging as a supportive intervention, but I don’t think there is any credible evidence that it has ever “cured” any disease. Your insistence on the acronym SCAM in lieu of CAM is yet more evidence of your profound bias. In and of themselves, there’s nothing necessarily wrong with biases. The problem comes when people refuse to recognize their bias or persuade themselves that their “science based” approach eliminates their bias. Keep looking, Dr. Hall. Perhaps the argument from authority: “anyone familiar . . . would understand” that you employ in your first paragraph describes those with biases similar to your own. Are you saying that you are also the authority on whether someone derives benefit or not from whatever harm inflicted? If is shown to derive benefits from cupping, or believes they do, are you going to insist that they’re wrong and you know better? I’ve seen too many of the so-called Skeptics and those who cry “Science uber alles” express rigid, arrogant close-mindedness, all the while insisting that they are right. I hope you are not among them. I KNOW both sides have something to offer. I’ve seen restored health and vitality brought by both methods, often where one failed the other succeeded. I try not to be a rigid ideologue. I try to remain open-minded and take things case-by-case. As I haven’t read Ernst’s book, and you didn’t find space among your disparaging comments in your review of his book to list the 20 things Ernst mentions, I’m afraid you have me at a disadvantage regarding what beyond those 20 CAM has to offer. But, being open-minded, I think 20 is not so bad, not so bad at all. One would like to think those 20 things could inspire just a wee bit of softening to your rigidity on the topic. And I don’t discount the placebo effect, as you apparently do. I understand that the mind is very powerful; its abilities in some cases may outweigh the effects of pharmaceuticals. If someone gets benefit from, feels better as a result of a placebo, I’m not going to dismiss or disparage their experience. I wouldn’t wish to be that arrogant. After mentioning twice (without listing) 20 positive CAM interventions (and are you open-minded enough to consider that perhaps you and Ernst haven’t identified all of them? ), you then attempt to draw some comparison between CAM and flat-earth proponents. Now there’s a leap! Really, Dr. Hall, you do begin to come across as rather extreme in the bias you have. I’m not aware that any yoga practitioner has ever made the claim that yoga asana has “ever ‘cured’ any disease.” (Isn’t that the sort of strawman you accused me of earlier?) By the same token, I don’t know that it hasn’t or cannot. “The evidence for health benefits of yoga asana is sparse and mostly methodologically flawed. ” That sparseness may be due to the fact that the subject has only recently become of interest to medical science, and medical science struggles (as you apparently do, as we all do) to overcome its bias against the benefits of such treatment. In a similar fashion, cannabis and its benefits are also poorly understood today due to lack of study. You are dismissive of testimonial and personal experience. Reality only appears to exist for you within the confines of a laboratory study. But as a yoga practitioner for 24 years, and teacher for 20, I have seen considerable evidence of the benefits of yoga asana. At the risk of still more dismissal and disparagement from you, I will go so far to say that I have seen it “cure” some conditions. You say the evidence for benefit from yoga asana is “mostly methodologically flawed”. Without further explanation, that seems like nothing more than opinion. You may not be aware that in recent years more studies on asana benefit are being conducted and benefits are being noted. I happen to know that UCLA is (or has) supported several studies employing Iyengar Yoga teachers that have shown positive results. At this point, I think I can only paraphrase from Hamlet for you: There are more things in heaven and earth, Dr. Hall, than are dreamt of in your studies. How do we know if a treatment is effective? Evidence from controlled scientific studies. I, and all skeptics and scientists, are “dismissive” of testimonial and personal experience, because it is notoriously unreliable. It can be valuable as an indication of what science should study, but it can never replace science. That’s ONE way (and a very good way) . . . but studies, as I’m sure you know, can be flawed, rigged, inadequate, inconclusive, superseded by subsequent studies, etc. In other words, they are not infallible and may only provide partial knowledge. A good tool but not the only tool. The narrowness and rigidity of your thought is rather disappointing. The growth of knowledge and creativity are stifled under such conditions. I advise you to speak for yourself rather than for “all skeptics and scientists”. Such proclamations from you make you seem arrogant in addition to narrow and rigid. I see some hope that you, at last, recognize some value in testimonials and personal experience, but the strawman “but it can never replace science” does you no credit. You do understand what the “C” in CAM stands for, don’t you? Scientific studies are not infallible, but the scientific enterprise as a whole is self-correcting. There is no other method of seeking the truth that is anywhere near as reliable. The growth of real knowledge is stifled when people accept “other ways of knowing.” If there are any skeptics and scientists who accept those “other ways of knowing,” I don’t think they deserve the name of skeptic or scientist: skepticism and science are firmly based on the policy of requiring adequate evidence. If “complementary” meant “comfort measures and other stuff we do that has no influence on the course of the illness,” I wouldn’t object to that. But in the hands of SCAM providers, the claims for complementary practices often go far beyond the evidence. You offer your “truth” in the form of your opinions, such as: “The growth of real knowledge is stifled when people accept ‘other ways of knowing.’ ” and “If there are any skeptics and scientists who accept those “other ways of knowing,” I don’t think they deserve the name of skeptic or scientist” and “skepticism and science are firmly based on the policy of requiring adequate evidence.” yet offer nothing in the way of evidence to support the “truth” of your opinion. Other people can, and do, have their own opinions on these matters, and trying to pin down “adequate evidence” will surely result in only more dispute. There is no reason to assume that your opinions on these matters are in any way superior to those of others. But abandoning this abstract discussion of “truth” and opinions and “scientific enterprise” and back to the more specific topic of CAM and conventional medicine. 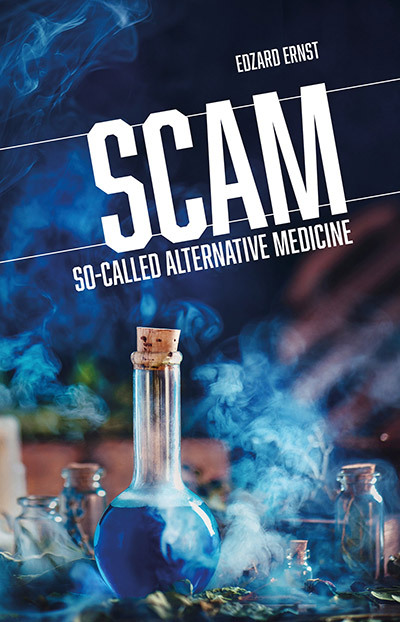 Ernst’s book, your review, and your comments here suggest that CAM is only scam whereas conventional medical practices are all that can be effective or reliable. Unfortunately, frauds, charlatans, scammers, profiteers, cheats, liars, etc. are found across all human endeavor, including both CAM practitioners and conventional medics. It’s disingenuous to point out the flaws in one without doing the same with the other. I’m sure you’re familiar with John Ioannidis. He’s done remarkable work on the many failings found among medical studies. I hope that one day we shall see a book by Edzard Ernst on the serious flaws found in medical studies and the consequences therefrom. Perhaps you will review it should it ever appear. The definition of “complementary” you offer may have truth for you, but there is no evidence I’m aware of to show that anyone else considers it the way you do. Again, a dictionary is most helpful in this regard and you’ll find a perfectly adequate and applicable definition there that explains what is meant and understood by “Complementary” in the acronym CAM. Given what Ioannidis has reported, it’s just as easy to flip your last sentence to read: But in the hands of many conventional medical providers, the claims for their drugs, procedures, and practices often go far beyond the evidence. All I’m suggesting, Dr. Hall, is you open your mind to a more inquisitive and well-rounded perspective. Pointing out the lack of evidence for SCAM says nothing about science-based medicine, which admittedly has its flaws but succeeds in the end. Ernst has no need to write about the flaws of medical studies, because plenty has already been written. Mainstream medicine has a strong tradition of self-criticism. SCAM does not: it doesn’t criticize itself and rarely if ever discards a treatment that has been studied and found not to work. Science-based medicine remains the only reliable way to obtain knowledge about how the world works. You are beating a dead horse. Okay, I get it, Dr. Hall. Although I wouldn’t call you a “dead horse” (I think perhaps “petrified tree” is more apt) and I don’t think I’ve been “beating” you, I see there is no point to this discussion. The absoluteness of your point of view is clear from your comments. I see you’re certain of your opinions but I don’t see them necessarily well supported. For example, you don’t show studies that support the success rate, “in the end”, of the admittedly flawed “science-based medicine”. You opine that there’s no need for literature on flawed medical studies “because plenty has already been written”, yet provide no examples and a brief search by me turned up but a single volume. “Mainstream Medicine has a strong tradition of self-criticism. SCAM does not . . . ” says you, but for someone so committed to the necessity of peer-reviewed studies, you mention none to support your statement. 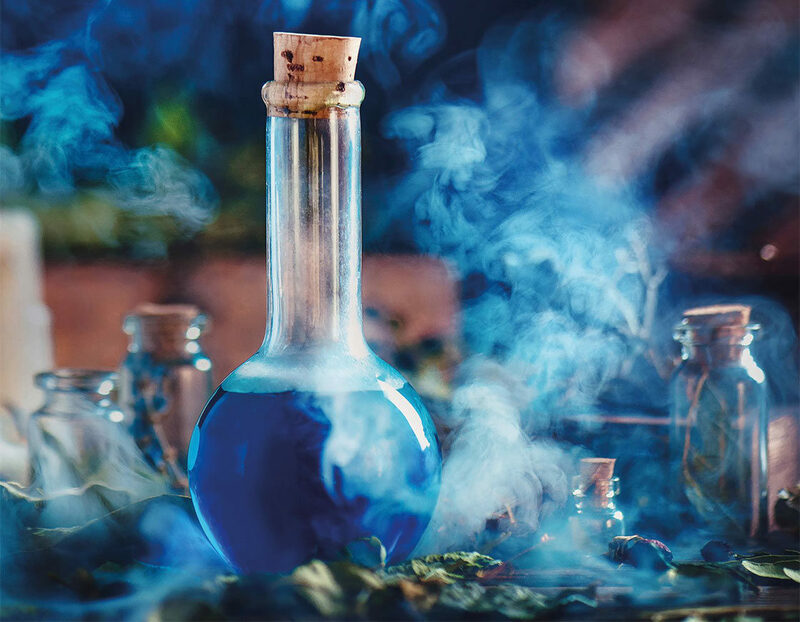 You over-extend yourself with “Science-based medicine remains the only reliable way to obtain knowledge about how the world works.” Surely you don’t mean to say that there is no other means to understand the workings of the world – the world?! Dr. Hall, the entire world?! – absent “science-based medicine”? Fortunately, the world does not conform to the rigidity and narrowness of your opinions. While recognizing that more understanding, studies, organization, and regulation are necessary, still, many countries and professional groups recognize the importance of incorporating CAM into treatments. Even the Mayo Clinic acknowledges that funding for such studies is difficult for a number of reasons, but the Mayo Clinic’s acknowledgement is mainstream recognition. Points out that “the National Institutes of Health (NIH) (a part of the U.S. Department of Health and Human Services) states: . . . Most people use non-mainstream approaches along with conventional treatments. And the boundaries between complementary and conventional medicine overlap and change with time. For example, guided imagery and massage, both once considered complementary or alternative, are used regularly in some hospitals to help with pain management.”” which is a good deal more open-minded on the topic than you care to be. The article goes on to state (below) the need for more testing and regulation (but doesn’t dismiss the approach out of hand), while also pointing out that some CAM approaches simply do not lend themselves to conventional “science-based medical” testing. This is clear and understandable to me, but I suspect you will only disdain it. In the end, I thank you, Dr. Hall, for this conversation has made me understand something about your skepticism and that so often found on this site. What I’ve finally understood is you adhere to formal mainstream approaches and solutions, and your skepticism is reserved for those who question that formal mainstream point of view. That strikes me as maintaining the status quo and is never how I’ve conceived of true skepticism. But to each his or her own. I see you are determined to have the last word, so I will let you. That doesn’t mean I think you are right.